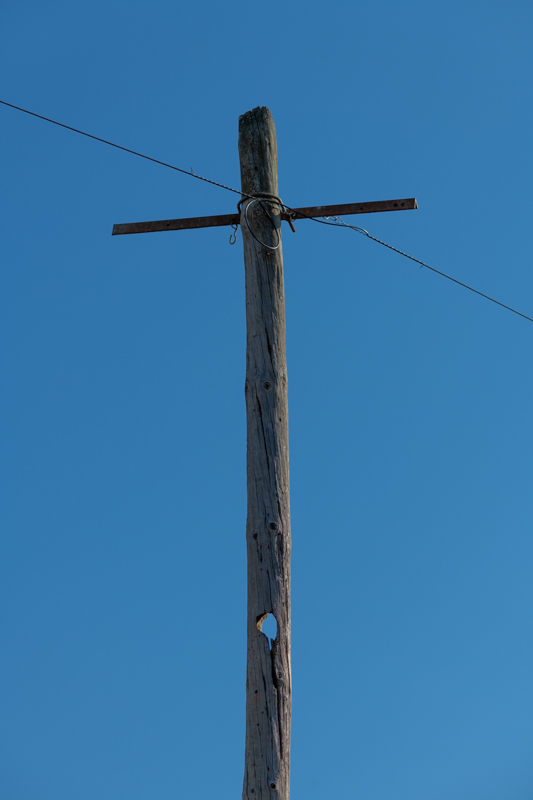 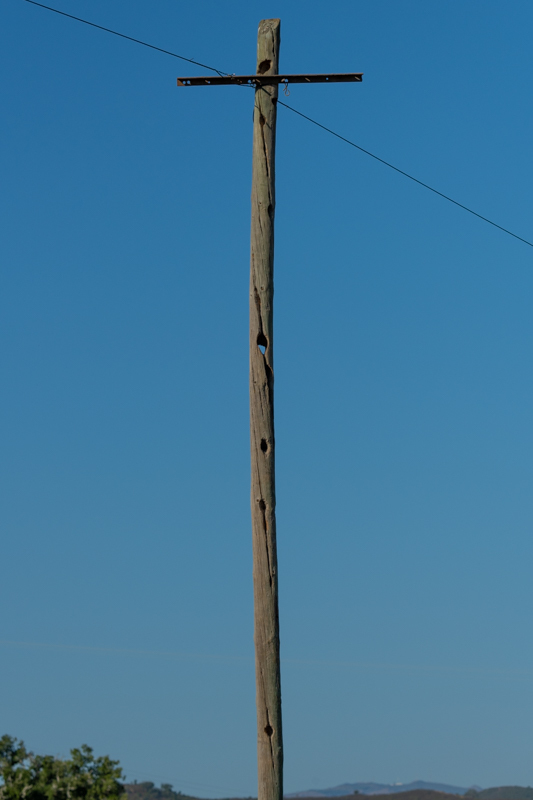 This is one of the poles that carries the phone line to our Quinta. 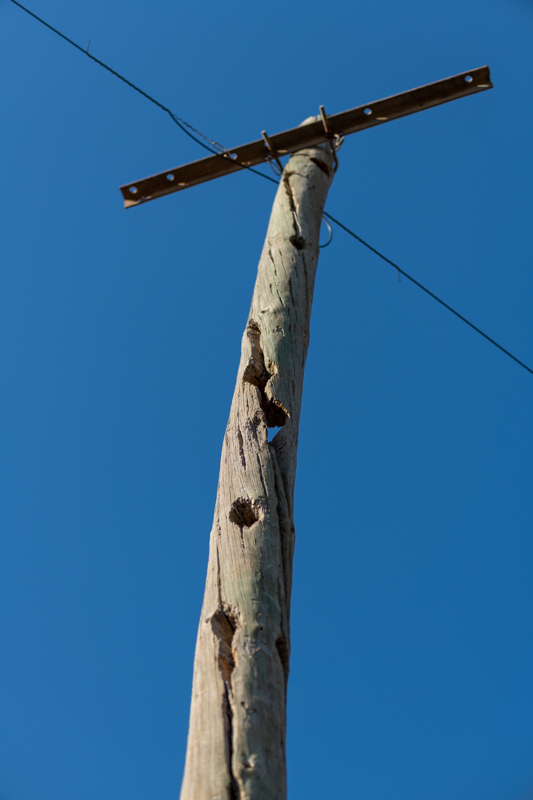 Just look at the Woodpecker damage it has. 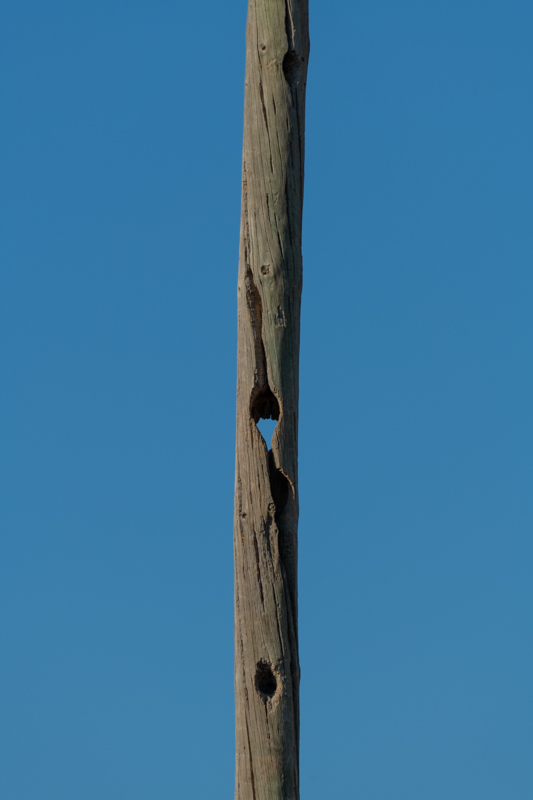 If you look closely you can see where the Woodpeckers have exploited the natural cracks in the grain where bugs have been living.